SUPERIOR QUALITY, AT AN AFFORDABLE PRICE! 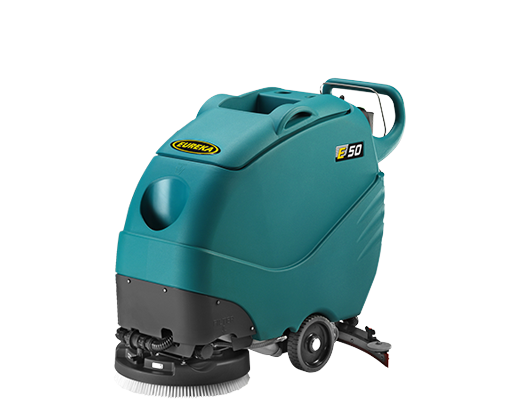 E50 is a professional walk-behind scrubber-dryer, ideal for the thorough cleaning of small to medium size areas. Enjoy the superior quality, ease of use and unmatched cleaning performance with the affordable Eureka walk-behind E50. HOW TO CHECK/REPLACE THE BATTERIES ON THE E50 SCRUBBER-DRYER? 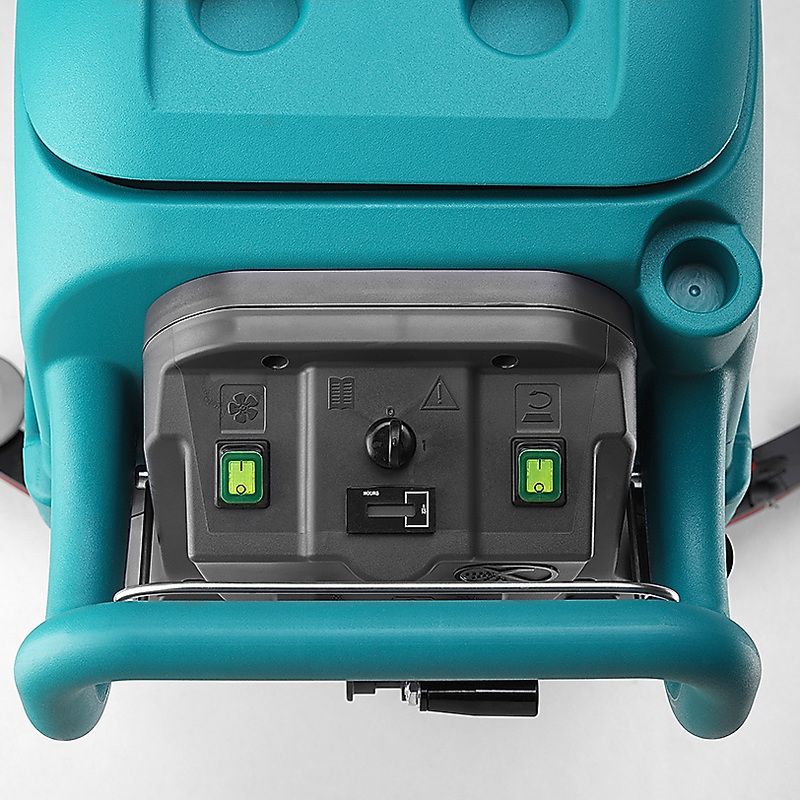 The E50 scrubber-dryer is equipped with an exclusive system which allows quick, tool-free checking/replacing of batteries. On top of that the innovative on-board charger makes battery charging fast, safe and simple. The E50 scrubber-dryer is specifically designed with roto-molded, easy access solution and recovery tanks, making cleaning quick and simple. 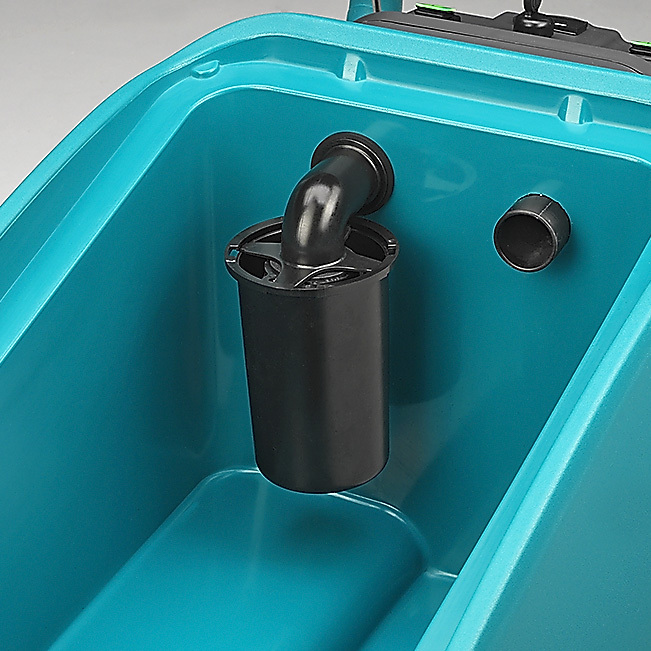 Furthermore the recovery tank is equipped with a unique drain valve in order to control the flow of water during dumping, as well as an efficient anti-drip device. Thanks to this secure system it is possible to keep the tanks hygenic and to avoid any contact between the operator and the dumped water or chemical solutions. WHAT IS THE CAPACITY OF THE E50’S TANKS? The scrubber-dryer E50 tanks are huge: the solution tank is 40 liters while the recovery tank is 50 liters, optimizing operator efficiency and reducing time spent filling / emptying. HOW CAN I ADJUST THE E50 SCRUBBER-DRYER SOLUTION FLOW? It’s easy, thanks to the innovative control on an intuitive display and the incredible DoseMatic system. This means the operator can accurately adjust the amount of solution during operation, without being exposed to chemical. HOW EASY IS IT TO ADJUST THE E50 SCRUBBER-DRYER’S BRUSH? The scrub deck includes a knob, which allows you to simply adjust the brush angle. Moreover the brush can be quickly connected or disconnected without need for tools. HOW CAN I DOSE DETERGENT WHILE CLEANING? The E50 scrubber-dryer offers the exclusive DoseMatic® system, which enables the operator to adjust the amount of chemicals, in real time, according to the specific floor conditions. 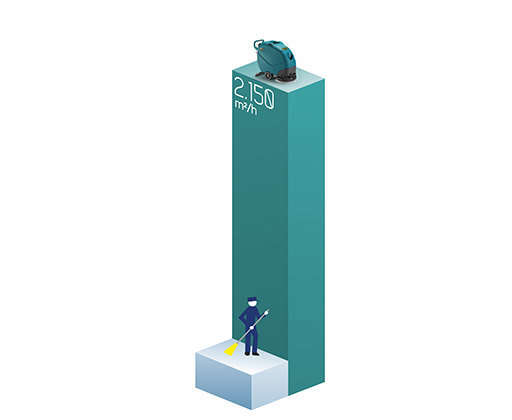 It reduces chemical waste and environmental impact, saving money and boosting productivity. 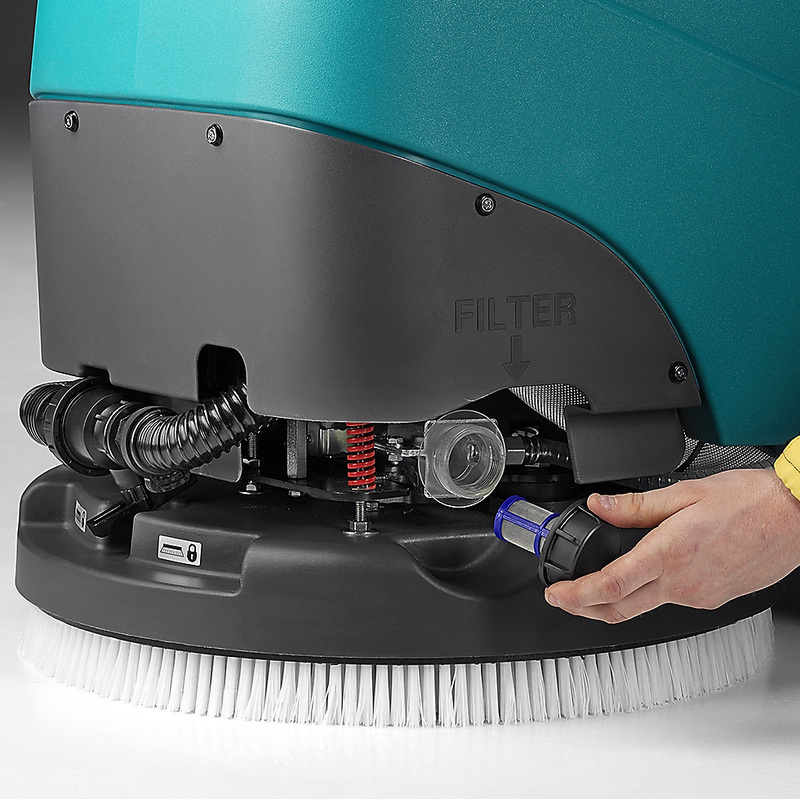 The E50 is a professional walk-behind scrubber-dryer, ideal for the thorough cleaning of small to medium size areas. 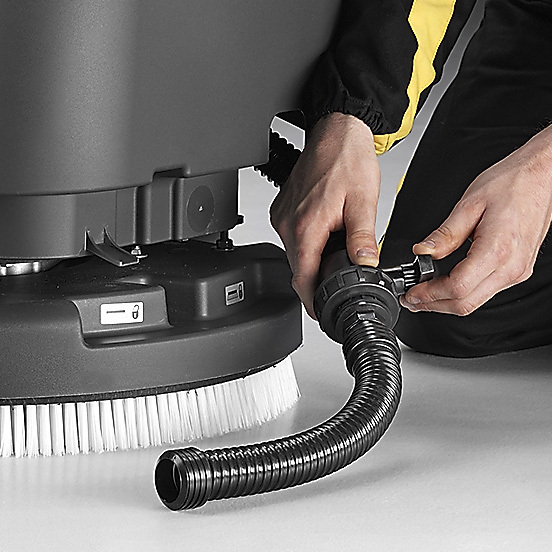 The E50 has a cleaning width of 50 cm which, combined with a 4.3 km/h speed, boasts an area coverage of up to 2150 m2/h. It is available with a 24 V battery system or mains power cord. Additionally, traction can be brush assisted or fully automatic (TRAC versions). 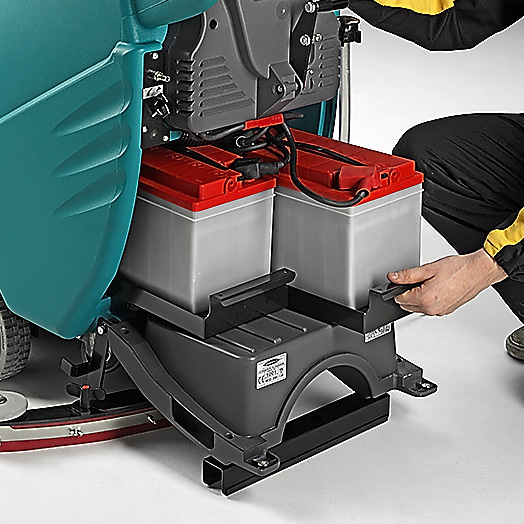 High capacity tanks (solution: 40 L; recovery: 50 L) maximise productivity and scrub time, and battery charging is fast, safe and simple with the on-board charger. 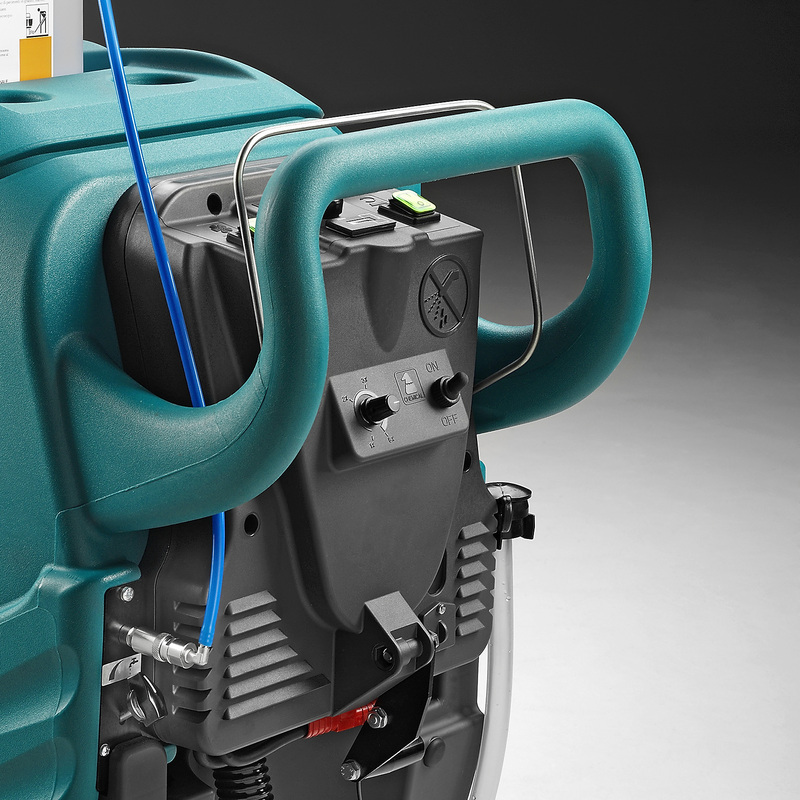 The E50 is specifically designed to be easy to use, and to enable businesses with limited budgets to acquire the efficiency and reliability of a Eureka cleaning machine at a price that can be justified and afforded. 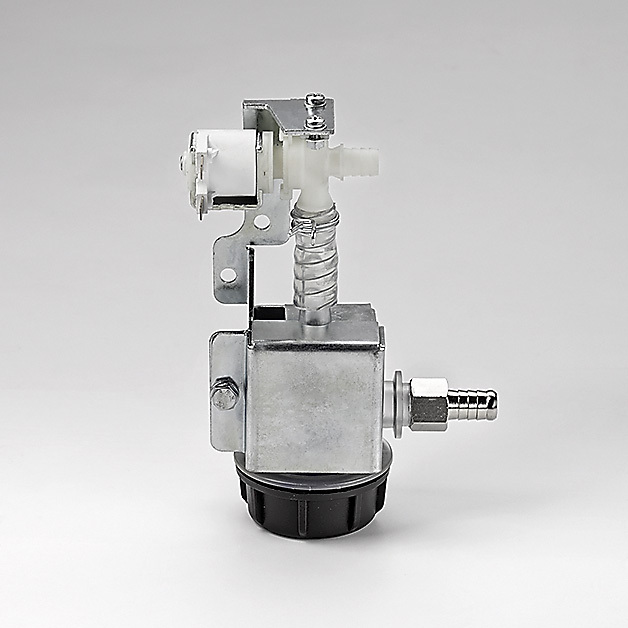 The unique drain valve controls flow of dumped water and the efficient anti-drip device makes emptying even easier. Solution and recovery tanks are easy to clean and fitted with removable filters. 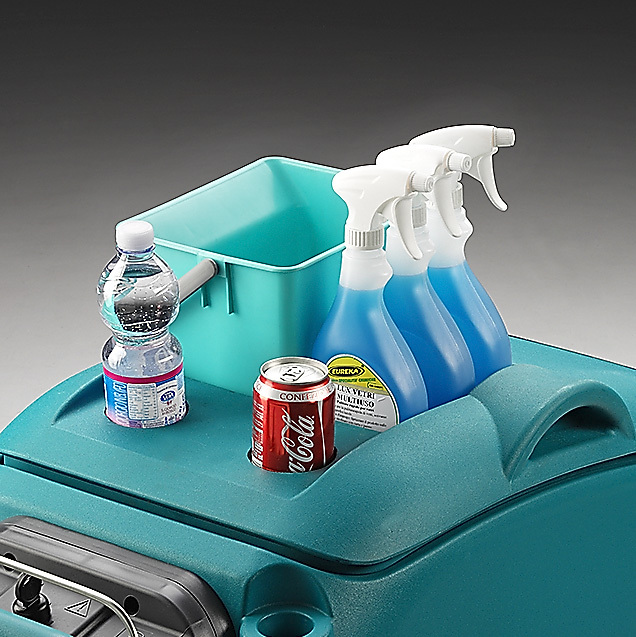 The built-in storage compartment on the hood is a clever way to maximise the use of available space, and help operators to focus on their cleaning environment. 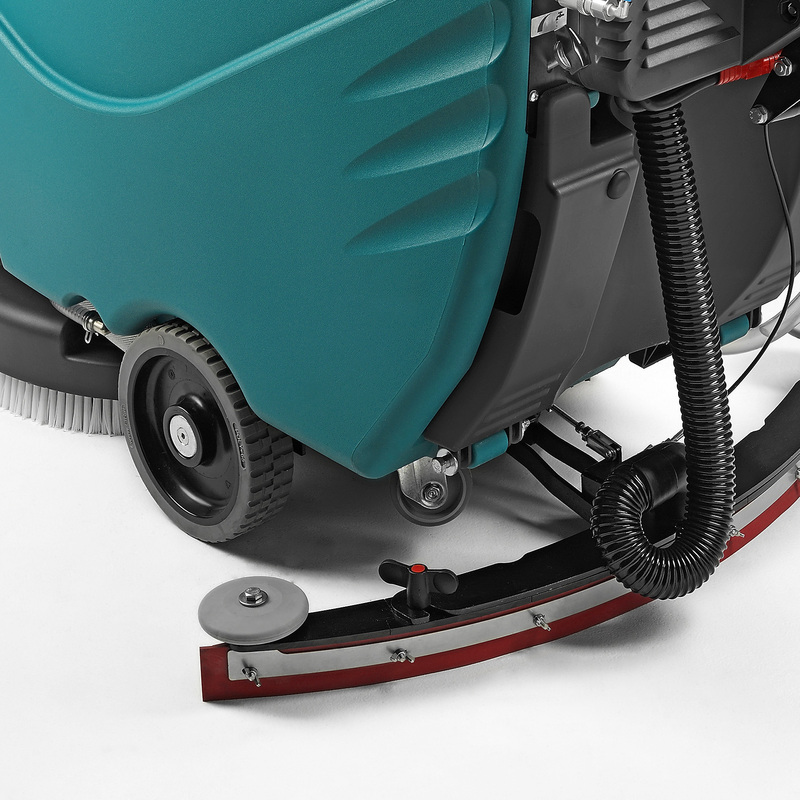 The E50's steel parabolic squeegee combined with the most powerful vacuum motor in its class (0.64 hp) deliver excellent water recovery (1250 mm water lift) even during 180° turns, leaving floors clean and ready for pedestrian traffic. 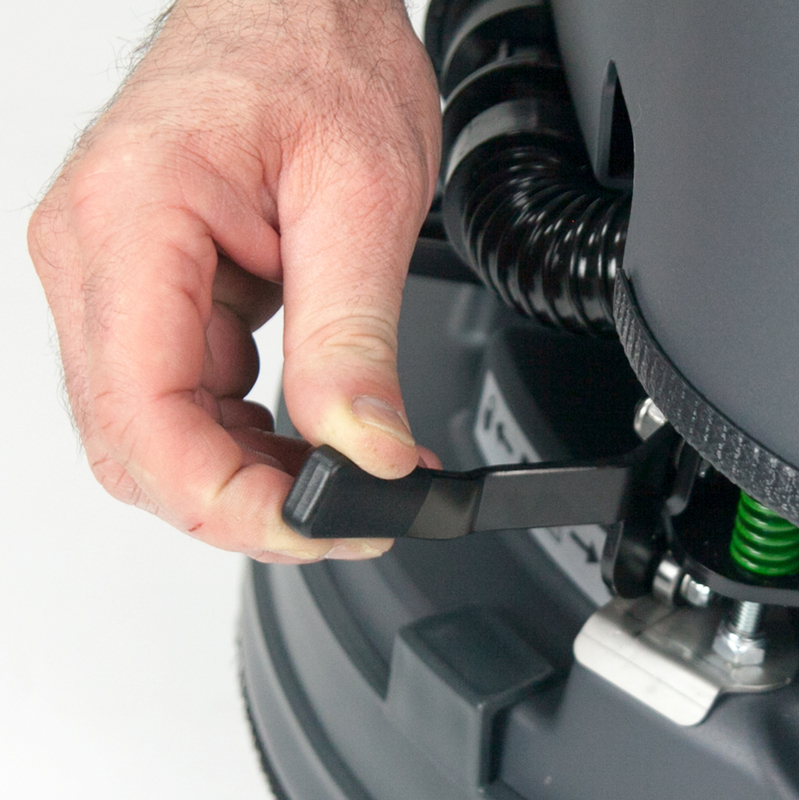 E50 is equipped with an efficient anti-foam device to prevent any damage to the vacuum-motor. E50 is equipped with an exclusive system which allows for tool-free, fast checking/replacing of batteries. Battery charging is quick, safe and simple with the on-board charger. The removable solution filter (optional on base versions) can be easily cleaned, and prevents debris entering the system. The E50 is equipped as standard with automatic brush coupling, allowing you to change the brush or abrasive pad in just a few simple steps.